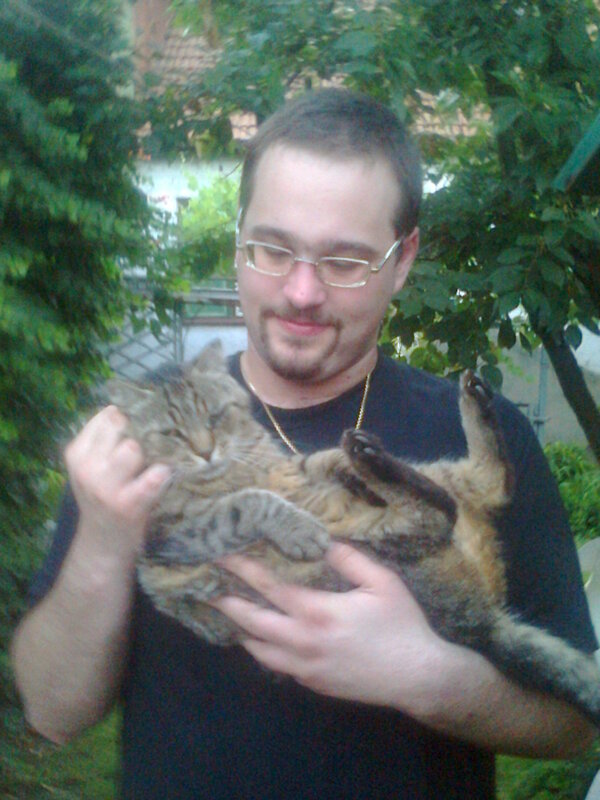 Me with my friend's huge cat. this was taken years ago, I've dropped several punds since then.... HD Wallpaper and background images in the Nocturnal Mirage club tagged: photo. Cute!!! So is the cat!! !